I'm a little late with my New Year's Resolutions, but better late than never, as they say. As I was pondering my resolutions, I realized I had lots of little things I wanted to focus on rather than one big thing. I wondered if I could come up with 52 different resolutions - one for every week of the year. I started my list and put the items into 4 main categories of activities - Health and Beauty, Nutrition, Physical Activities and Happiness. I came up with just under 30 items. Maybe 52 was a stretch. So I brought the list down to 26 small resolutions and decided to focus on just 1 for a two week period. 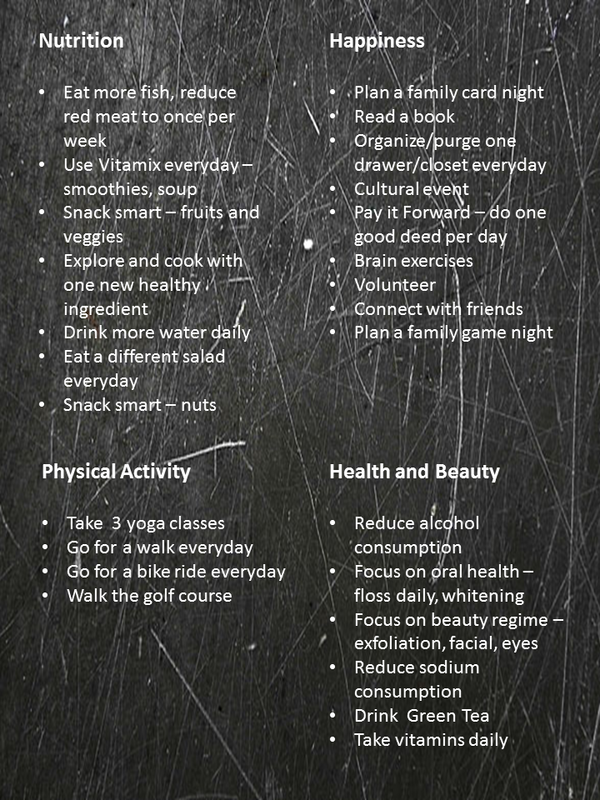 I think this will work better and I hope that by allowing 14 days for each resolution, they will become habits. 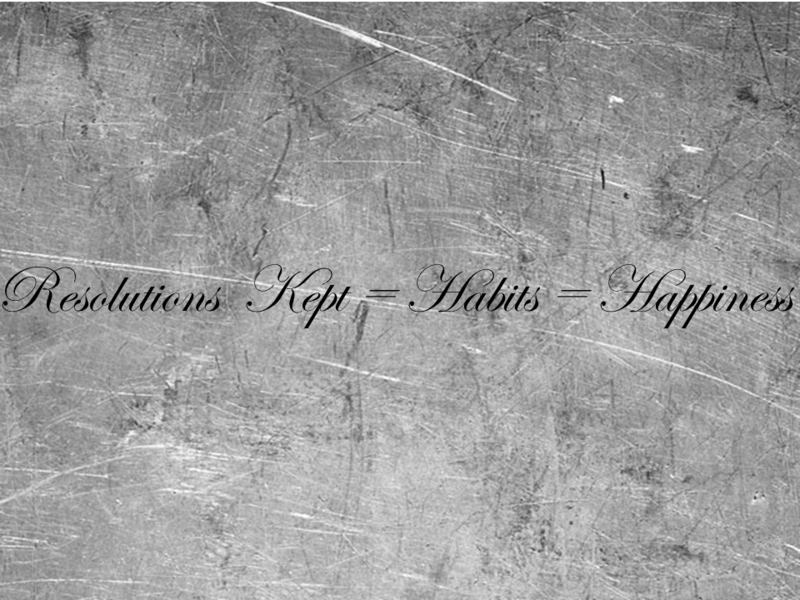 According to Gretchen Rubin , author of The Happiness Project, keeping resolutions is the same as making habits and making habits is a key to happiness. She believes that to make a positive change, it is important to figure out WHAT to resolve and HOW to keep the resolution. The key to sticking to resolutions is to hold yourself accountable says Gretchen. ( You can read more about Gretchen's thoughts on resolutions here. ) 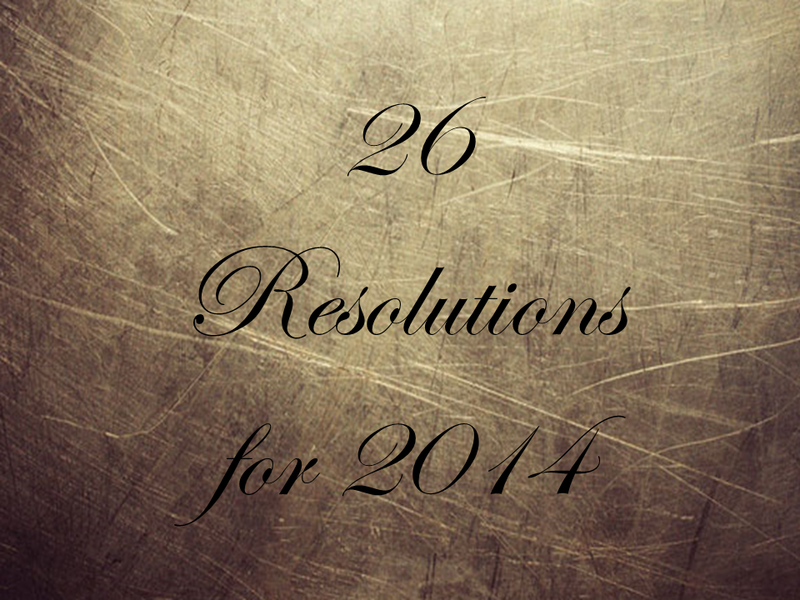 So now that I have my 26 resolutions, I am going to hold myself accountable by blogging about them. Every other Monday, I will post my resolution for the upcoming 2 weeks and I will report back on the outcome of the past 2 weeks. Monday January 6th is my start date. Wish me ( and my family who by default will be taking part as well) luck!